Whaley Outlaw Rhino & Haddock Outlaw Clutch - Great set up for Outlaw 330, Q16 or 1/8 Mile N/T Races. 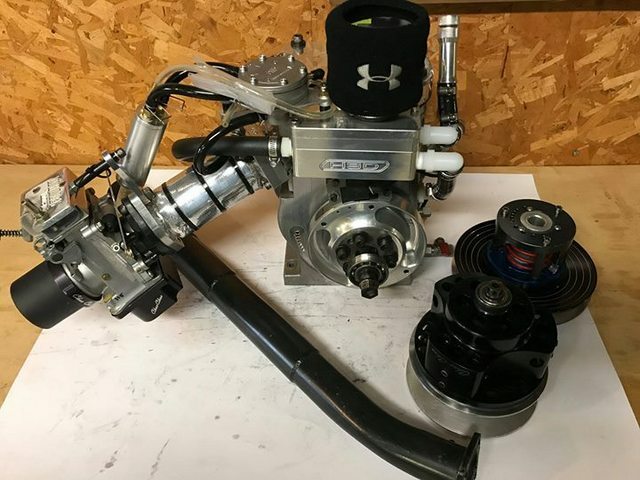 Engine: Whaley Outlaw Rhino - Welded Intake Port, 3.54 Bore x 3" Stroke, Balanced Crank (.875 Journal), 4.625 ARC Big Fish Rod, Haddock Lifters, JE Piston, 131 Dyno Cam, HSD Breather w/ Reed, Haddock Prepped 45 MM Outlaw Carb, Dial-a-jet, Fuel Log and 4 Stage Pipe. 0 Runs since fresh w/ new, rod, springs, etc. Clutch: Haddock Outlaw Clutch - Billet Outlaw Cover, 5.900 Sheaves, Haddock Ramps, Arms, Rollers, 7" Secondary. 0 runs since freshened, Nice Piece. $4,000 for engine, pipe, clutch, etc. Last edited by ballison on Wed Apr 17, 2019 12:48 pm, edited 2 times in total.